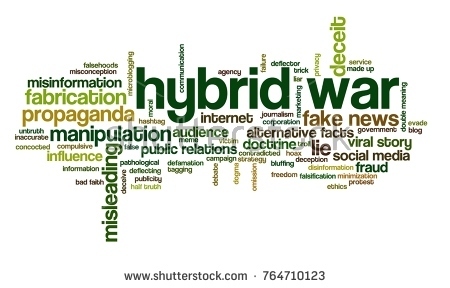 In that connection based on Ukrainian on experience, one of the key tools for the creation of a “hybrid war” is the energy component. Russia is a traditional energy and raw state where the hydrocarbons are not just a commodity, but it is also a tool for achieving the geopolitical objectives. To achieve its political goals Moscow has used against Ukraine the energy factor in three-dimensional format, - political, economic and information. Ukrainian energy infrastructure has become a matter of special attention from the Kremlin, since its occupation or destruction does not only cause significant economic losses to Ukraine, but also threatens the energy security of the European countries. In 2014, since the annexation of Crimea and fighting in the Eastern Ukraine, the Kremlin has been conducting the energy attacks against Ukraine. It is important to note that in this period the Ukrainian state had total dependence on Russia’s energy supplies in all energy sectors (Fig. 1). The overall energy balance of Ukraine by 65% was dependent on energy supplies from RF. The political dimension. Russia is using the energy policy as a tool to achieve its foreign policy goals. So, in 2015 the Russian government persistently argued that the transit route of Russian gas to Europe through the territory of Ukraine will be closed in 2019 in connection with the termination of the Russian-Ukrainian transit contract. Synchronously with this message RF has announced several possible projects for the delivery of Russian gas to Europe bypassing Ukraine - Nord Stream, South Stream, Turkish Stream. Thus, on the one side the Kremlin would like to reduce the importance of the Ukrainian gas transport system and on the other hand to deepen the debate about the reliability of Ukraine as a transit country in the European format. The economic dimension. In April 2014, the highest possible gas price at $485 per thousand cubic meters had been unilaterally settled for Ukraine while the European countries purchased on average at $360 thousand cubic meters. Starting from June in the same year Russia stopped gas deliveries to Ukraine at all. In the same period about 80% of coal mines were put out of action, railroad tracks and bridges were destroyed. It was impossible to move coal out from the occupied regions to Ukraine which led to a shortage of coal on the eve of the heating season 2014/2015. As a result, the Ukrainian government was extremely fast looking for the suppliers of Anthracite coal around the world. This situation has become a challenge for the functioning of the United Energy System of Ukraine. In order to avoid the energy shortages and emergency situations rolling blackouts in power supply for the population of Ukraine have been implemented and some energy-consuming enterprises went to work on night mode. The shortage of coal became a long-term challenge for the energy security of Ukraine. After the annexation of Crimea Moscow gained a control over the Ukrainian energy facilities located outside the administrative border of Crimea. As a result of this aggression Ukraine has not only lost the energy facilities on the territory of Crimea, but actually as the capture of energy infrastructure the oil fields of the shelf and natural gas in the volume of 2 billion cubic meters have been stolen annually. According to the statements of the Ministry of energy and coal industry of Ukraine after the annexation of the peninsula the energy facilities’ costs in Crimea including offshore reserves were estimated at $ 300 billion. A transition of Ukrainian state companies “Chernomorneftegaz” and “Ukrtransgaz” under Russian control could be considered as the most costly loss of assets. To this we may add 17 deposits of the Black Sea shelf of which 11 were gas, 4 condensate and 2 oil deposits. In addition, Ukraine has lost two unique rigs, for which the government paid $ 800 million from not yet repaid loan funds. Thanks to new platforms the Chernomorneftegaz company increased gas production by 40% in 2013 and by 21% in 2014. Informational dimension. The energy component has become a tool of Russian propaganda for information-psychological pressure on Ukrainian society and global community. At the beginning of the active phase of the Ukrainian-Russian confrontation Moscow without any evidence has repeatedly accused Kyiv of the unauthorized extraction of transit gas intended for European consumers. The purpose of false accusations was to create the image of Ukraine as an unreliable supplier in the eyes of European partners and respectively to cultivate distrust in the Ukrainian authorities. The establishment of a stable reverse gas supplies to Ukraine from European partners and the refusal of gas purchase from Russia in 2015 has become the issue of the expert discussion “Will Ukraine pass the heating season 2015/2016?”. A number of experts in favor of the Kremlin predicted the “energy Armageddon” for Ukraine if it would not buy Russian gas. Last summer this topic was actively discussed in the Ukrainian media, increasing tension and anxiety in the society. Recent reports about the intention of the Italian company Eni to drill shale gas exploration wells in Ukraine were accompanied by an explosion of critical publications on environmental issues comparing shale gas production with the Chernobyl disaster. Announcement of fuel supplies for Ukrainian nuclear power plants by American Westinghouse Electric Company has also sparked the critical comments in the expert environment and promise of a “second Chernobyl”. Transformations in the energy market and reforming national energy policy have been often used by the pro-Russian organizations as an information occasion for critical evaluation of government action and acceleration of social psychosis. Any anti-crisis decisions in the energy sector adopted by the Ukrainian government have been actively used for formation of negative attitudes towards public authorities and country’s leadership. European experts generally view energy war as a phenomenon of the post-Soviet space arguing that Russia uses energy weapon in order to keep the ex-U.S.S.R countries in its zone of control. It is not correct to believe that such tools can’t be applied to the EU and NATO member countries. This statement is illogical on the basis of declared Russia's approaches to the use of energy resources and infrastructure in order to “address national and global problems". In recent years Russia has been using the energy weapon against European countries: reduction of oil supplies to the Czech Republic in 2008, when Prague signed an agreement on deployment of American missile defense radar on its territory; in 2007 Russia has suspended the supply of oil and coal to Estonia for one month through to transfer of the monument to the Soviet soldiers explaining it as a technological problem of logistics; in 2015, Russia reduced the oil transit through the Lithuanian ports by 20% without explaining the reason. Also, it should be noted that large-scale projects of not transit gas export infrastructure to Europe initiated by Russia are able to create a surplus of pipeline capacity. In the absence of an integrated gas infrastructure in the EU the Kremlin can manipulate the volumes, directions and prices for gas. In the case of worsening the relations between Russia and NATO Moscow can use restriction/limiting gas supplies to European countries in combination with information and psychological campaign and also perhaps cyber-attacks. New pipeline projects of the Kremlin will allow stopping selectively supply of gas to Germany, Poland, Hungary, Romania and others, reducing the energy security of these countries. Ukrainian GTS and underground gas storage facilities with total active capacity of 31 billion cubic meters have a particular importance for Europe. Ukrainian gas infrastructure helps to provide the gas supplies during winter months of peak consumption in the EU. The branching of the Ukrainian GTS has high importance. The branching networks is not sufficiently presented in the other Gazprom routes, even the alternative ones. The accident at each of these directions will automatically lead to the cessation of gas supplies, but the flexibility of Ukrainian transport network will allow Europe to avoid this situation. For example, it took 2 weeks to eliminate the consequences of sabotage attacks in 2015 on Urengoy-Uzhgorod gas pipeline. However, gas supply to the EU did not stop for a minute: instead of the emergency pipeline, the parallel branches of two other pipelines - Progress and Soyuz, were involved.